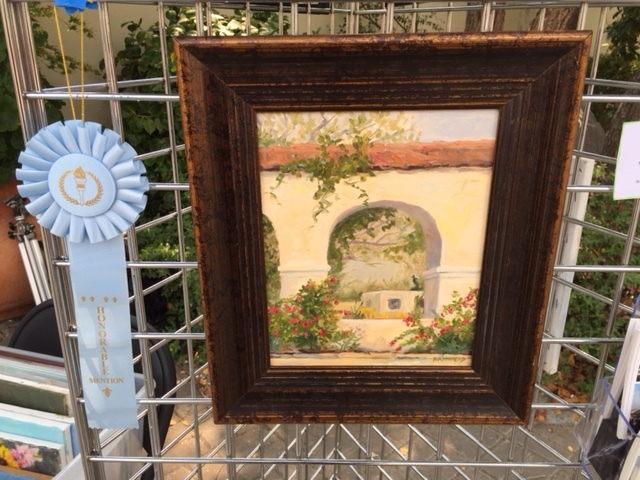 We are pleased to report that our annual Artist event, Art in the Gardens 2015, was an excellent success in line with our past four years of “ART –in-the-ADOBES” programs. The number of participating artists increased this year, as did attendance at the three-day event. The event kicked off on the evening of Friday, September 11 when twenty-two local painters gathered at Venture Gallery to have blank canvases and papers stamped as untouched. A small reception with wine sent them off to paint. 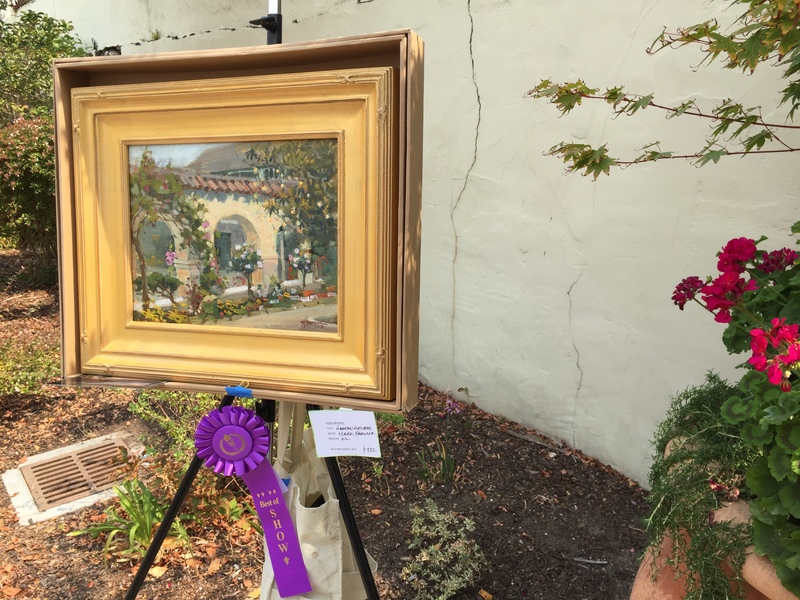 Saturday they scattered among the ten historic gardens of Old Monterey to capture their charms in oil, acrylic, pastel, and watercolor. Volunteer docents stationed in each garden space explained the history and horticulture of each unique space. The drought-challenged plantings in many areas provided a challenge to the painters, leading to some “artistic license” to bring the flowers back to vibrant life. 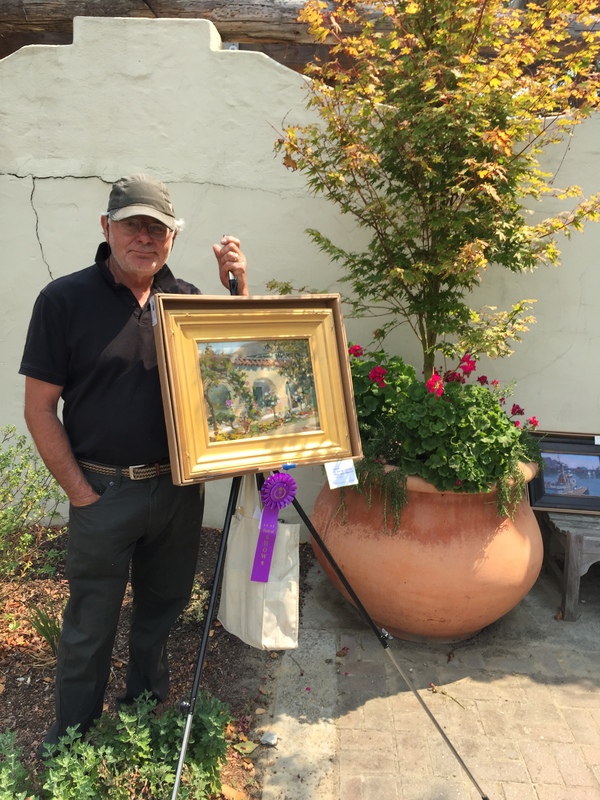 On Sunday September 13 the artists gathered in the Sensory Garden to exhibit their new paintings for judging. Volunteer judges John Greenwald, Susan Klusmire, and Patrick O’Dowd deliberated carefully with difficult selections. Awards were announced by noon. Tickets were sold for a blind drawing to win original paintings donated by the participating artists. The 3 pm drawing ended with ten lucky winners selecting their favorite artworks from those on display. 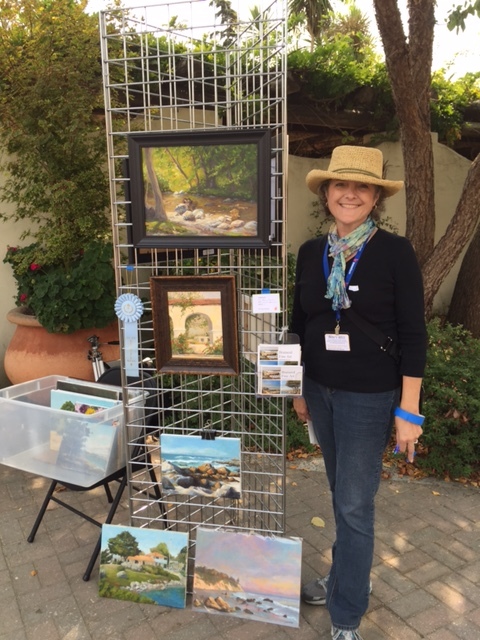 The chance for the public to observe local artists at work on Saturday, and admire and purchase their paintings on Sunday provided a unique opportunity to appreciate the beauty and talent in abundance on the Monterey peninsula. Our favorable feedback will inform our decisions as to what type of events we will sponsor and promote next year.